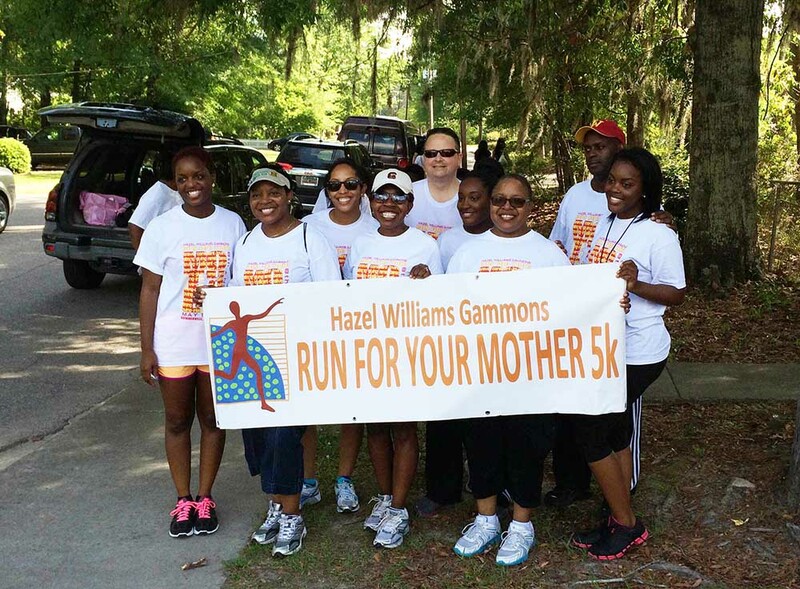 Hazel Williams Gammons (1937 – 2002) was an extraordinary person; a brave Mother. Summerville was her home. She went to Alston High School. She worked for 30 years at the Veterans Administration Hospital in Charleston. She died too soon from a stroke. Her four children – Debra, Evelyn, Beverly, and Fredrick—present this Run to honor her memory and to benefit the National Stroke Association. Run in beautiful Summerville, SC and enjoy the azaleas and the pine trees. Honor your Mother by running or walking on the Saturday before Mother’s Day. Help reduce your chance of stroke by exercising. Help lessen the incidence and impact of strokes nationwide by running or walking for your Mother. You know she would want you to do that! It is our goal to continue this run/walk every year and endeavor to have to grow to get more families, children and grandparents up and exercising. Please help us pass the word and encourage others to come join us each May.